We got to meet up with one of the leading stem cell doctors while at Paleo FX last month. 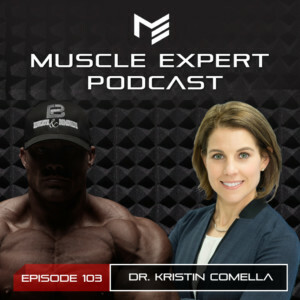 Dr. Kristin Comella of the US Stem Cell clinic sat down with us to give us a rapid fire discussion on one of the newest, most misunderstood practices in modern medicine. Dr. Comella dispels the myths and gives us some great insight on the recovery, anti-aging and healing potentials of stem cell procedures. 1:30- Stem Cells have become a bit of a buzz word recently in the medical community. How long has the research actually been around? 2:30- How do stem cells work? 4:00- Does the amount and type of fat someone has affect their stem cell storage and production? 5:00- Since everyone has stem cells, why do we need to have them harvested and transplanted? 5:30- What are the ways that we can increase natural stem cell production either for a healthier life or to prepare for a procedure? 6:20- The stem cell discoveries that most excite Dr. Comella. 7:45- How often are you able to receive stem cell procedures? 8:45- Turning back the clock with stem cells. The anti-aging benefits of a stem cell procedure. 10:00- Stem cells for health and performance. How stem cells help with vascular supply and recovery. 10:35- What are the current known risks of stem cell procedures? 11:45- The evolution of stem cell extraction. The new king on the block, adipose stem cells and how they differ from amniotic and bone marrow cells. 13:05- Smart cells. How stem cells are able to choose wherever your body needs them. 14:20- Spinal stem cell injections and their benefits for neurological healing. 15:25- How stem cells are changing the field of medicine. 16:25- How you can support stem cell research. 17:10- The cost benefit analysis of stem cell procedures. 20:25- Health and stem cell procedures. How a healthy lifestyle and exercise affect the benefits of stem cell procedures.